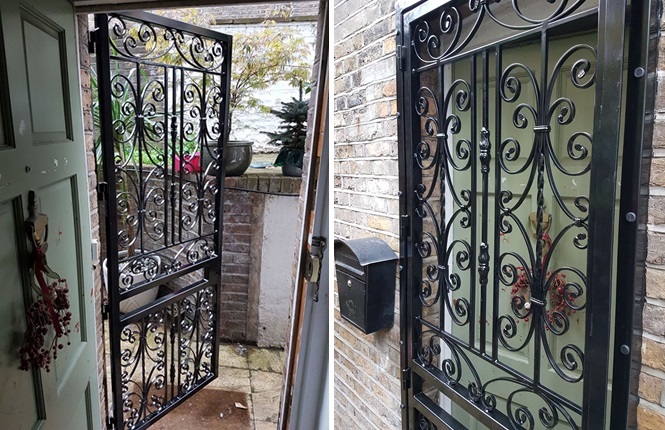 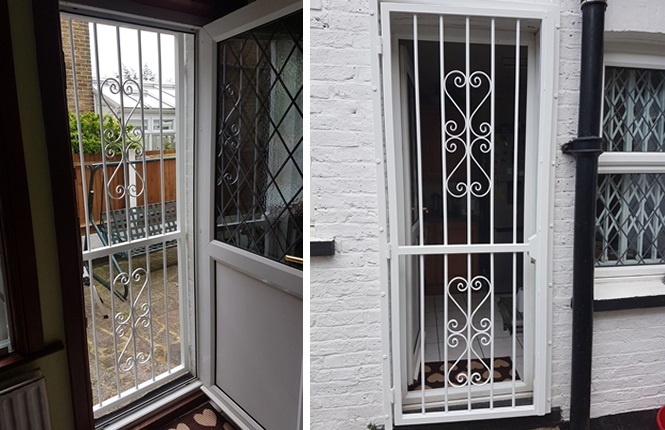 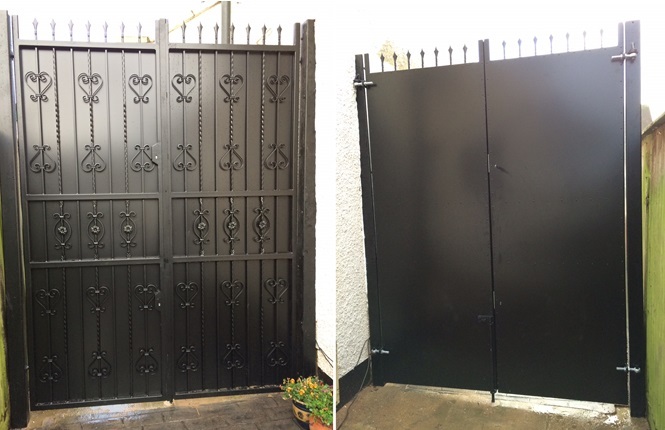 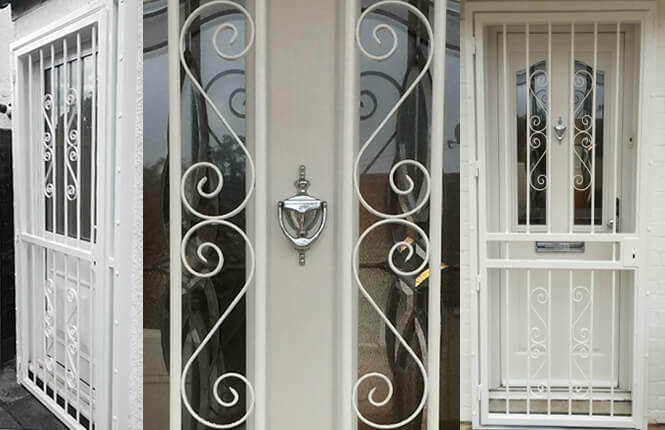 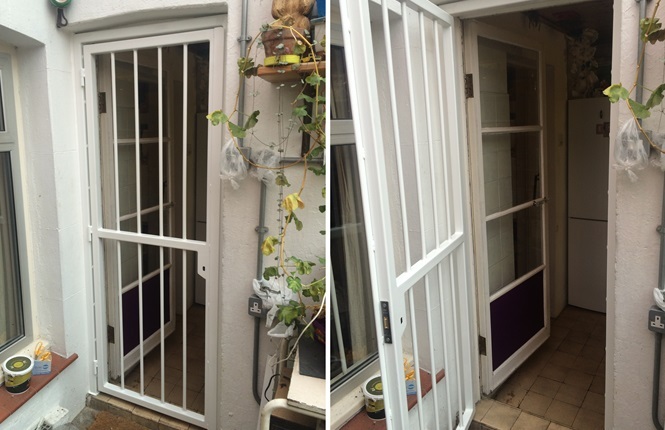 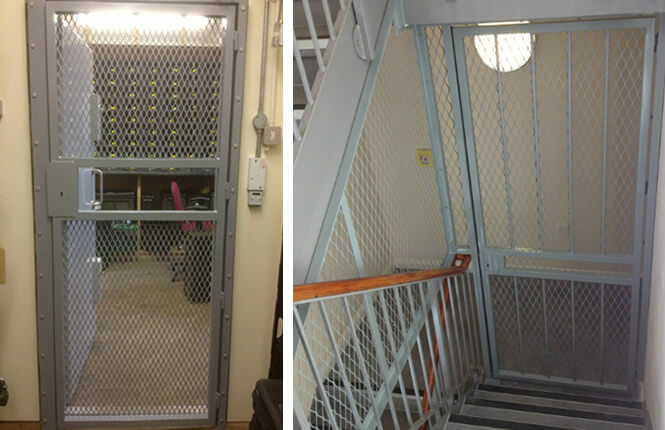 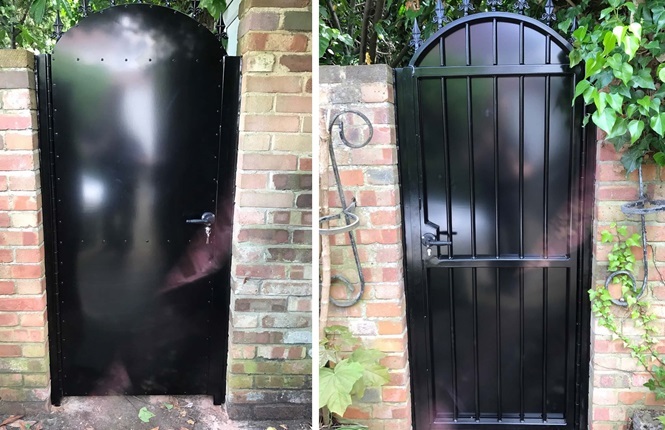 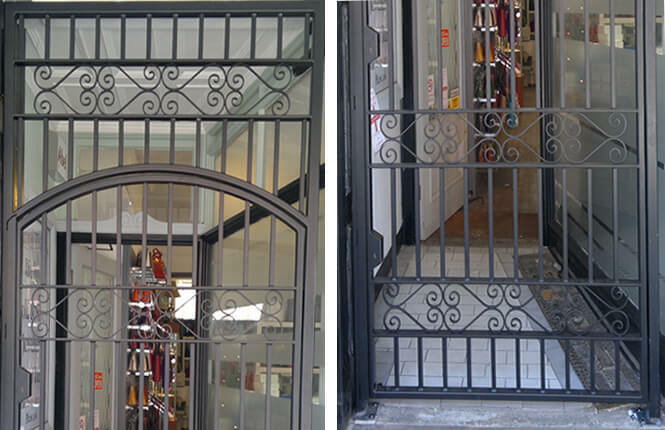 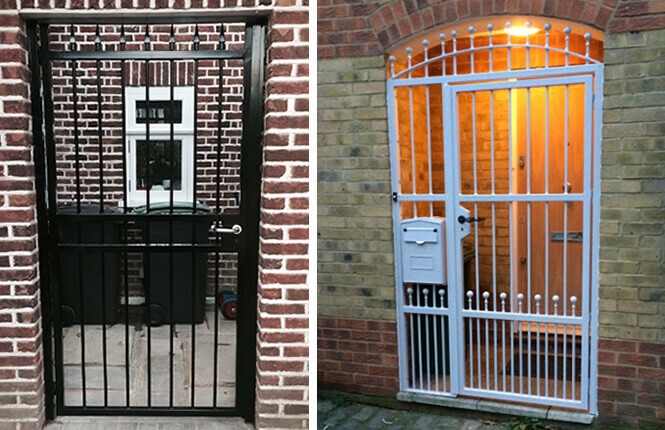 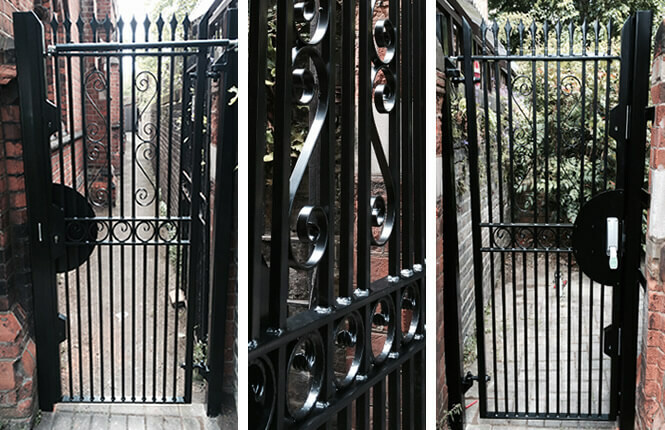 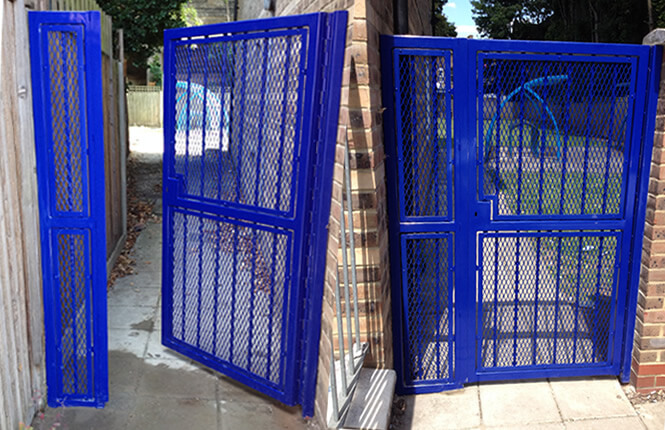 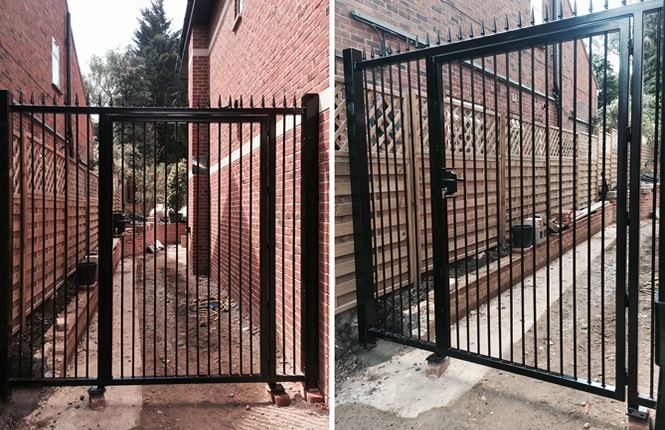 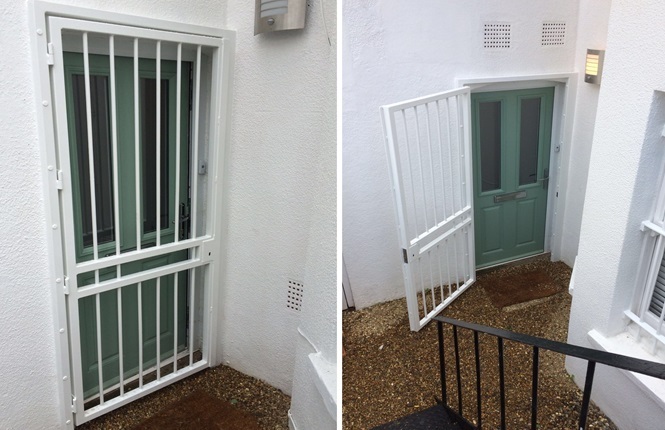 Bar doors and gates are ideal solutions for either an additional barrier to an existing door or a single barrier to side alleys and pathways providing access control to your premises.9 out of 10 residential doors in UK are inward opening which makes fitting security grilles internally tricky. 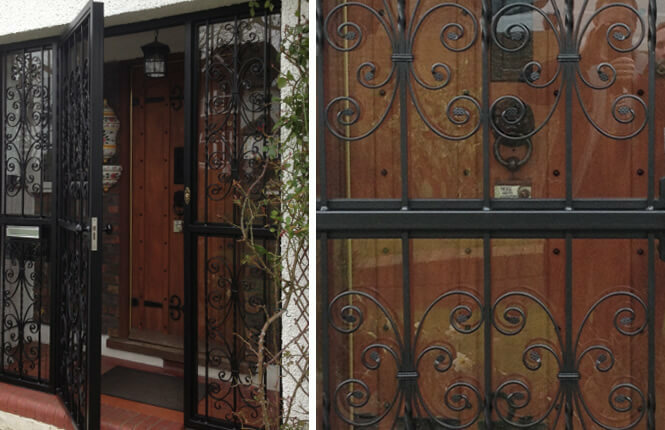 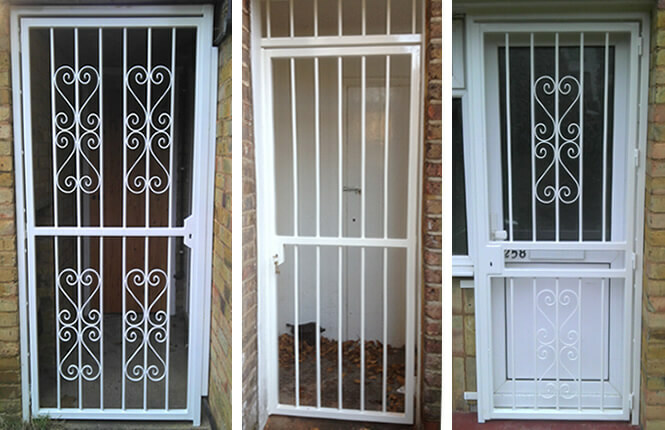 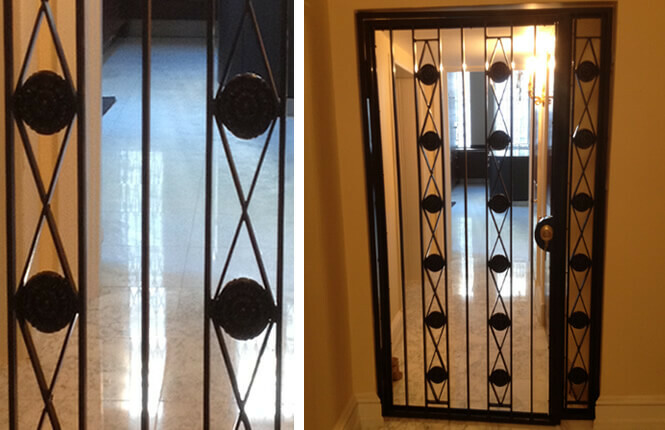 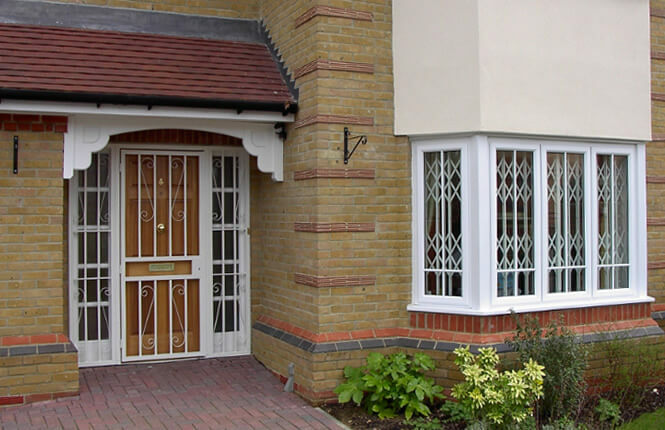 Door gates provide the perfect external security solution. 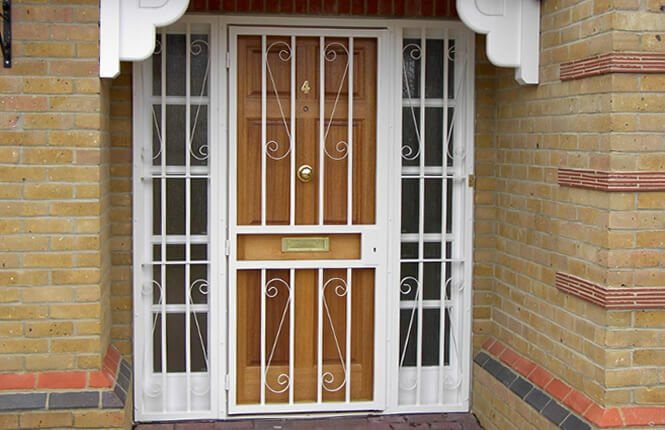 When installed in addition to an existing door, we design and manufacture our doors to compensate for any handles or letterboxes of which may prove to intervene with the operation of the door Providing top security, RSG3000 security gates are manufactured and designed with scrolls and powder coated to any colour of your choice, adding more style to your homes externally. 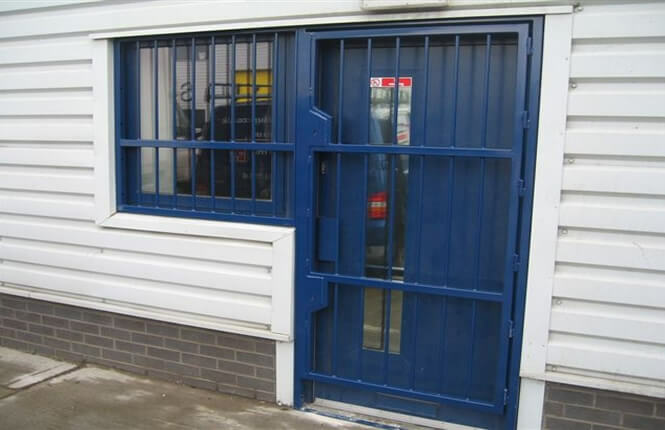 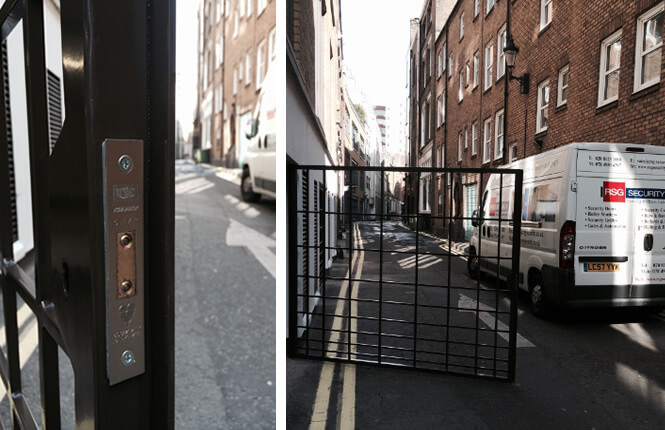 RSG3000 door gate is the most common and strongest external security barrier for doors in the UK. 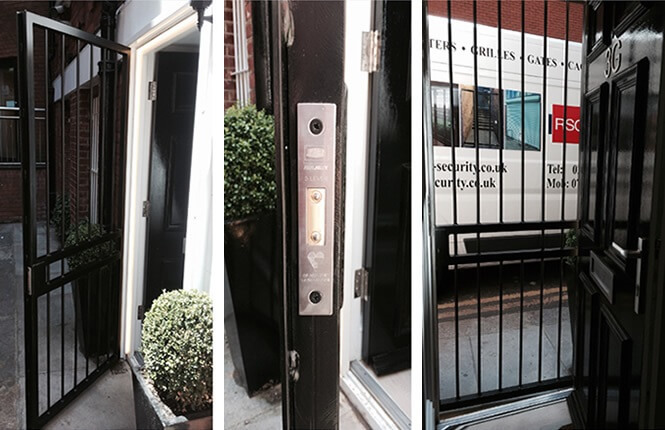 Heavy duty external security solution. 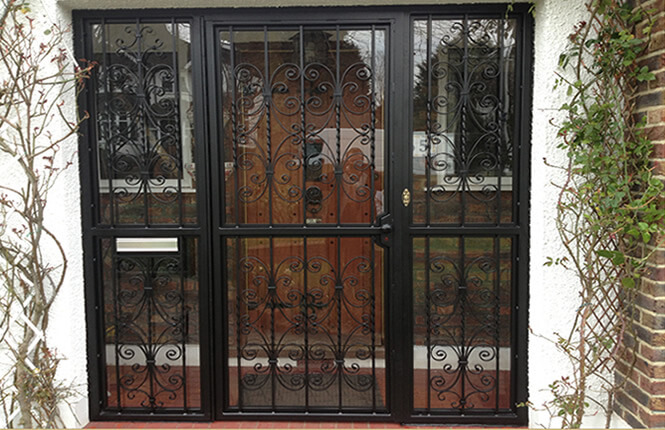 Pleasant look as well as increase of security. 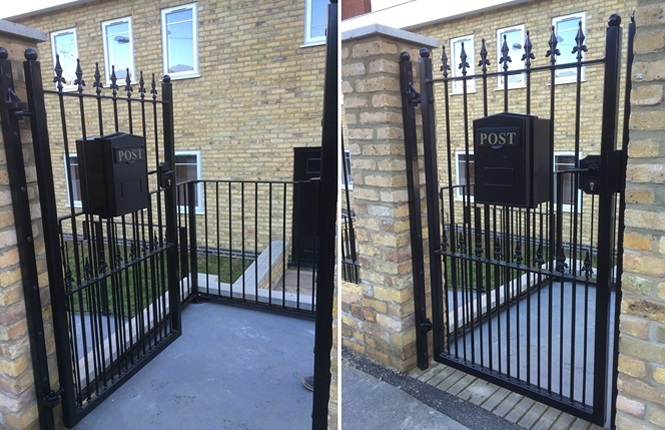 Designed with scrolls, head spikes and more to suit your requirement.